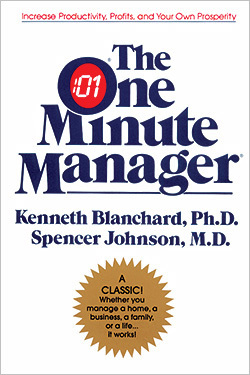 We continue our examination of the business book The One Minute Manager with an interview of author Ken Blanchard. Why did he write a business fable rather than a nonfiction book, and what makes a good business book stand out? What was the impetus for you to write The One Minute Manager? Because it was all about simple truths that really resonated with people. I can’t tell you how many people have said, “I should have written this book. I knew those three secrets.” The reality is that One Minute Goal Setting, One Minute Praising, and One Minute Reprimands/Redirection are the key elements of managing your kids, your marriage, your friendships–everything. What are the virtues of doing a business fable rather than a straight business book? When you write a business fable, people get caught up in the story and don’t get judgmental about what you’re teaching them. If you’re teaching a bunch of concepts, people get skeptical and say, “Where’d you get that research?” But if you tell them a story, they get caught up in it while they learn. Do you feel like business fables are still relevant in today’s business world? Absolutely. I’m still writing fables. So are Spencer Johnson, Patrick Lencioni, and others. People love them, because they can pass them around, share about them with others, and easily get buy-in on concepts told in the story format. How has your process changed from One Minute Manager to later books like Lead with LUV? Lead with LUV is the first book I’ve ever done that’s just a pure conversation between my coauthor and me. Colleen Barrett (President Emerita of Southwest Airlines) is such a special person, it just didn’t seem right to write a fable around her. I thought it was best to let people get to know her. The best way to do that was by interviewing her and dialoguing with her throughout the book. Of course there are many books I love, but the three that come to mind are The Five Dysfunctions of a Team by Patrick Lencioni, Who Moved My Cheese? by Spencer Johnson, and The 7 Habits of Highly Effective People by Stephen Covey. Why do I like these books in particular? Because they teach simple truths in a way that you can understand and apply right away. Patrick Lencioni, Spencer Johnson, and Stephen Covey are great communicators. I love to read what they write and try to apply what I learn in my own life. 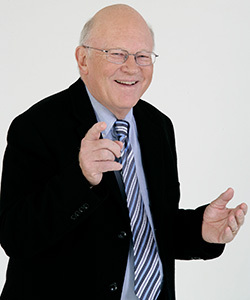 Ken Blanchard is the author, with Spencer Johnson, of The One Minute Manager. Read more about The One Minute Manager or our Leadership Hall of Fame.